Coltraco: Australia and New Zealand. 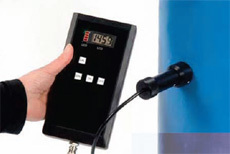 Ultrasonic Level Indicators and Gauges for Liquid, Marine Leak Detection and Thickness Gauges. Coltraco Ltd is an ISO 9001 manufacturer who designs and manufactures a specialised range of ultrasonic monitoring and preventative maintenance instrumentation used in marine, fire protection, offshore petrochemical and Defence. They have been in operation for over 20 years and are the global leaders in his very niche field. Their equipment is exported to over 90 countries worldwide with flagship products boasting the largest worldwide distribution for any product of their type. The Portalevel MAX employs easy-to-use, clean, environmentally-safe ultrasonic technology. Portalevel® MAX is the next generation portable liquid level indicator for monitoring fire suppression systems comprising CO2, FM200™, NOVEC™, Halons, and other liquidbased Halon replacement extinguishants. It employs easy-to-use, clean, environmentally-safe ultrasonic technology. Identifies the interface between liquid and air in any single skinned container. The Portalevel™ uses ultrasonic technology to identify the interface between liquid and air in any single skinned container. 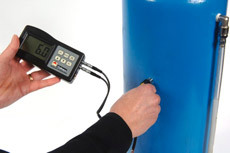 It therefore has none of the user problems associated with radioactive liquid level indicators which require dedicated training, storage, Health & Safety documentation, and transportation. It also replaces the traditional means of verifying liquid levels by dismantling and weighing in which the system may be closed down or disconnected, risking potential damage in so doing and involving considerable time, expense and inconvenience. The unit is simple to operate using push button controls and requires little or no training. It is calibrated to each cylinder at the touch of a button and the sensors are housed in magnetic applicators which ensures good contact with the surface and allows hands-free operation. To locate the liquid level in a vessel, the sensor applicator is placed on the test vessel below the expected liquid level and then calibrated with all LED lights then illuminating on the digital unit. The sensor is then placed above the expected level — all lights extinguish. The sensor is moved between these two points in small steps until the interface (liquid level) is located. Used for checking liquid gaseous extinguishing systems. The Portamarine® ultrasonic liquid level indicator is used by shipping and marine fire servicing companies throughout the world to check fixed gaseous extinguishing systems. Over 10,000 units are in use worldwide. It is a simple, portable ultrasonic liquid level indicator for checking liquid gaseous extinguishing systems, particularly those with multi-banked rows of extinguishers. It can be used on almost all liquid gaseous extinguishants, including CO2, Novec™, FM200™, Halon and most Halon substitutes. The Portamarine was designed specifically for marine use and the special, adjustable extension rod is slim enough to check second and third row cylinders. It is recognised worldwide as the leading ultrasonic liquid level indicator for marine use and accepted by Det Norske Veritas. It will locate levels in almost any type of single-skinned container of any size. Can constantly monitor vital levels inside tanks, including those of the fire suppression system cylinders. The Permalevel® is designed to provide a facility with the means to constantly monitor vital levels inside tanks including those of the fire suppression system cylinders, powered by 240 or 110V. Unlike the fixed weighing systems, Permalevel does not require any heavy investment in infrastructure to weigh the cylinders and the equipment is available for retrofit. Permalevel can be used, among other applications, for fixed fire extinguishing installations in the Power (notably coal, hydro, gas and nuclear), Oil and Gas (notably exploration and production platforms), high value Data Storage, Server Rooms and Telecommunications centres and Defence sectors where it is critical that the contents in fixed fire extinguishing installations are monitored on continual 24/7 basis. 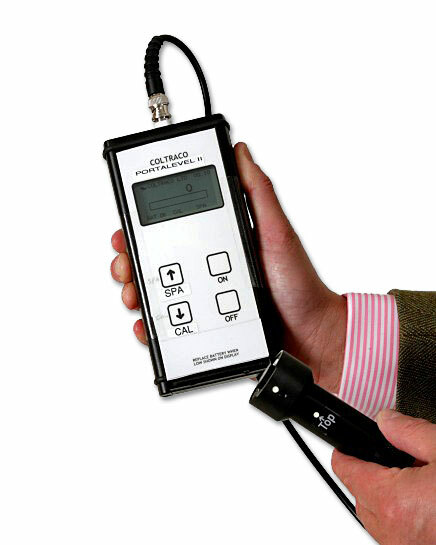 The Portascanner™ II both locates a leak site and indicates its extent in a simple hand held format. 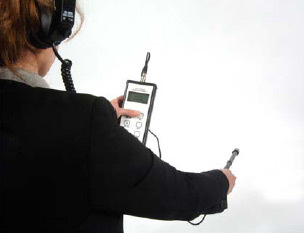 The Portascanner™ II both locates a leak site and indicates its extent in a simple hand held format. The unit offers surveyors and inspectors a lightweight, ultrasonic method for inspecting the watertight integrity of ships' hatch covers, seals, holds, bulk heads and any other holding vessel or water-tight compartment. Being ultrasonic, it can be operated even during the loading and unloading of cargo, thereby saving time and costs. The risk of environmental pollution from water run-off and non-compliance with port state rules and regulations are also removed. Portaguage® II is a low cost, material thickness gauge suitable for measuring thickness and Corrosion of ships hulls and bulk heads, fire cylinders, pressure Vessels, chemical equipment, boilers, oil storage tanks and industrial pipe work etc. Supplied complete with 10mm transducer, ultrasonic couplant, calibration block, instruction manual carrying case.